Tea's long history has provided ritual, comfort and passion to people for millennia, and most aficionados view brewing the perfect cup as more art than science. But one designer is flipping that notion while at the same time preserving so much of tea’s rich tradition. 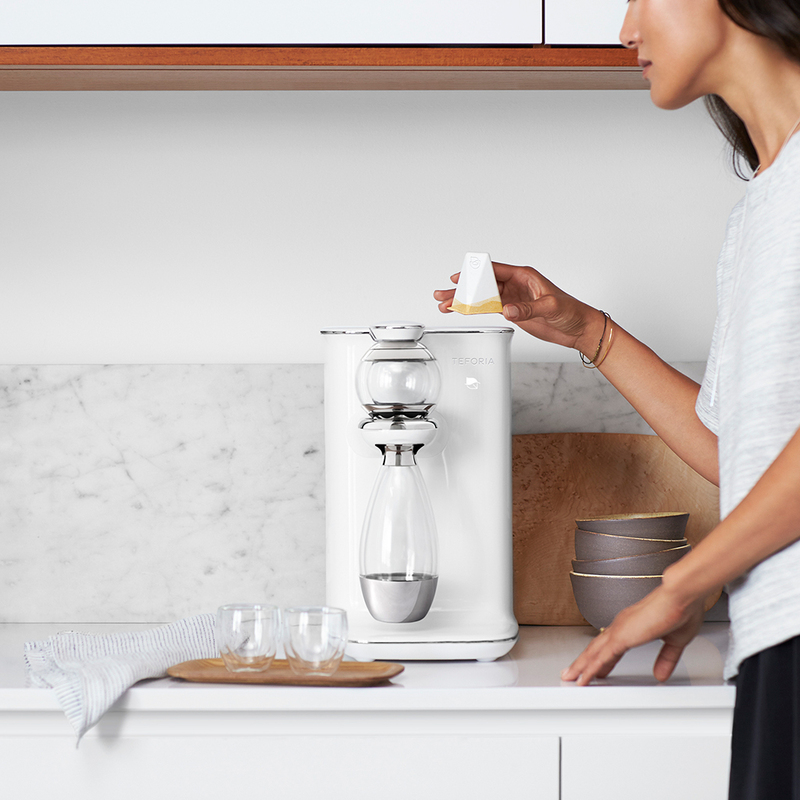 Allen Han, who for years designed products like the Xbox 360 and Kindle Fire, created the Teforia, a sleek countertop machine able to determine the best brewing method for any tea varietal. You simply tell the machine what type of tea you want to brew, either manually with the accompanying Teforia app or by scanning one Han’s prepacked and 100 percent recyclable pods (made from paper pulp). Then add the leaves to the globe infusion chamber and the machine aerates and infuses the tea with water for the correct amount of time at the proper temperature and drips into a double-paned carafe. The system also includes a smart water filter that removes fluoride. Precision on the machine is such that you can manage the caffeine and antioxidant levels in any particular pot of tea by adjusting brewing time and temperature. Han's goal is to preserve the tradition of tea and ensure that consumers are truly receiving the best cup they can make. Currently, Teforia has paired with Mighty Leaf, Samovar and Smith Teamaker on a series of pods full of unique and difficult to find teas. Not only can you brew an ideal cup of tea, but you’ll be able to expose yourself to something you’ve never had before.